At CorkLink we are just as proud to serve our small customers as our large ones and one of our smaller customers who keeps coming back for more corks is The Little Kit Company, which makes mini wine making kits (and they are really mini – one bottle at a time!). Kirstyn Holgate came up with the idea and runs the business from north west England – the idea is that she supplies you with all the ingredients and equipment you need to make a single bottle of wine, then you just need to follow the instructions and wait for for 15 days and you have a bottle of red or white wine ready to drink. She came to us looking for a specific size agglomerated conical cork with a centre hole to fit the demijohn that is supplied as part of the wine making kit. To make sure that we would get exactly the right fit, she sent us over a sample bottle and we produced some sample corks for her to approve prior to placing a production order. 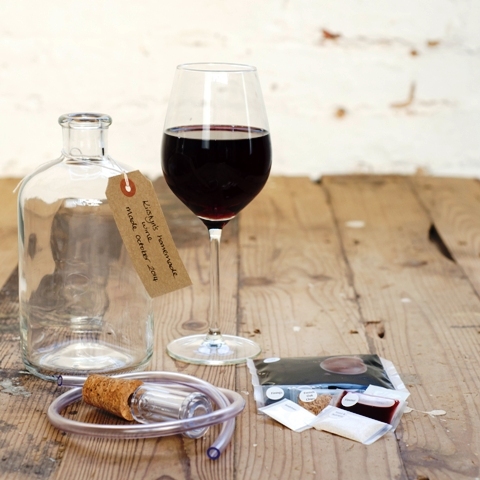 Anyway, The Little Kit Company is clearly going from strength to strength and if you fancy some small scale wine-making, you know were to go. And if you need a specific sized custom conical cork, then please get in touch with us at CorkLink and we will work with you to make sure you get the perfect cork for your requirements.